Charles W. Eliot Middle School sits in the hills above Pasadena, California. 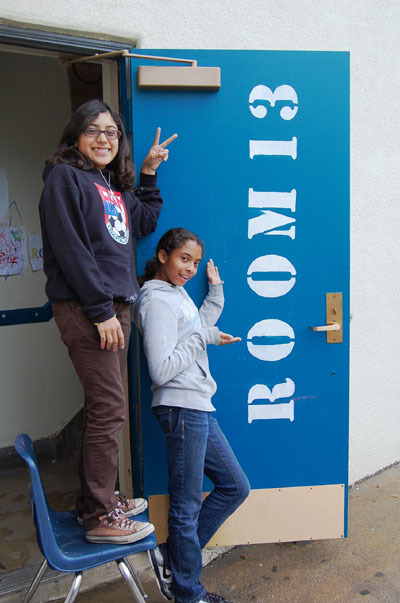 In 2009, it became home to Room 13. The project was launched with the support of Lightbringer Project. Room 13 Eliot occupies a big room with lots of natural light, which was taken over by the young artists early in the project. A community drive to clean and prepare the space took place. 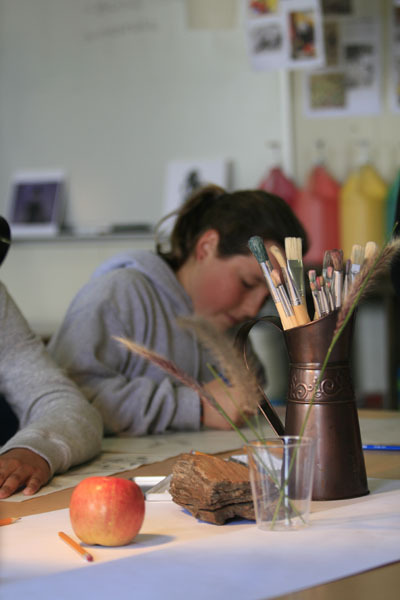 Soon after, the students appointed their first Artist in Residence. 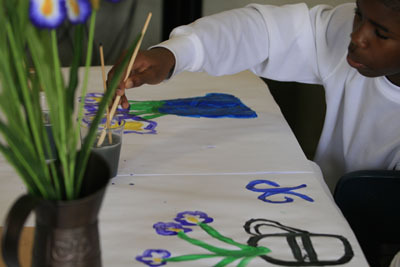 The studio has gone from strength to strength, and has generated a huge amount of goodwill and support from the community with regular donations of materials, funds and time to support the young artists. 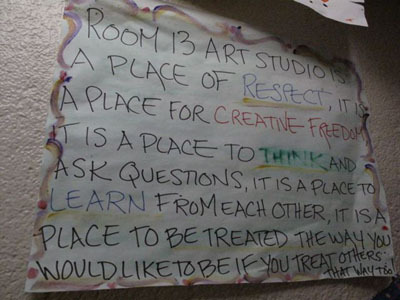 The artists of Room 13 Eliot showcase their creative work in exhibitions, festivals and through connections with galleries and other artists who are more than willing to show their support. As well as managing the studio, students have also shown their entrepreneurial flair by setting up their own photography business. Originally, the students’ business plan determined that they would photograph fellow classmates for their school portraits. Now they are photographing events and doing photo booth and ID card photos as well. Under the regular guidance of Artist in Residence Amber Tilden and the volunteer mentorship of professional photographer Julie Klima, the young photographers are learning how to work with a professional camera, set up backdrops and make props, create optimum lighting, and print great images for the customers.